Camp Grayling Military Reservation is located west of Grayling, Michigan. 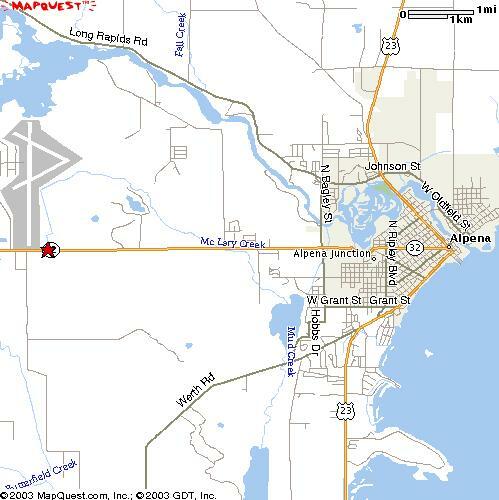 Go west on M-72 from Grayling to M-93 and south on M-93 to the Military Reservation. Go past the guard house approximately five miles to Range 10 staying on the main road. 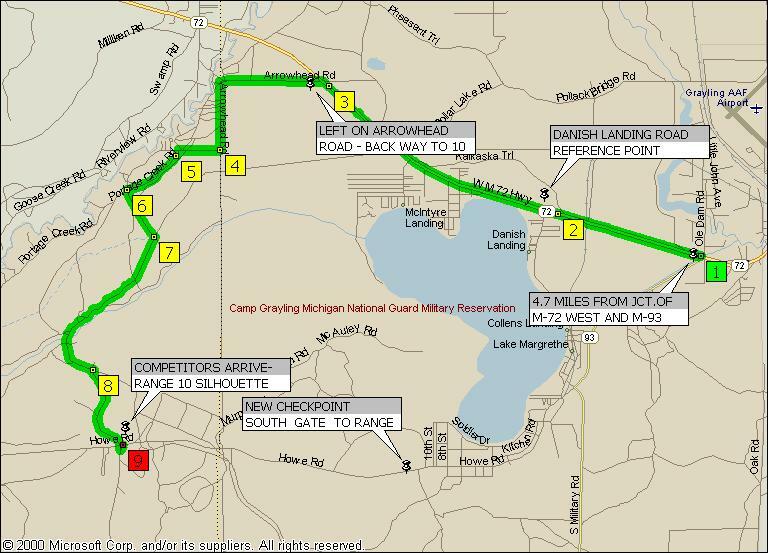 The entrance to Camp Grayling is about where the number 93 is on the map below. 2. Going past Danish Landing Road and Lake Margrethe to Arrowhead Road. 5. At the fork in the road go left (SW) onto Portage Creek Road and continue for .5 miles. 6. At the next fork take the left fork (SE); this takes you into Camp Grayling. 7. Continue SE .3 miles and then turn right at the sign that directs you to Range 18. Continue past the road to Range 18 through the s-curve to the right and then back left a total of 2.1 miles until you come to the pavement at the Portage Creek Bridge. 9. Range 10 will be on the left (North) side of the road.